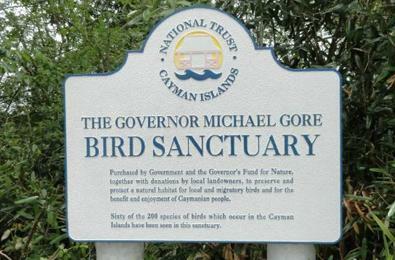 The Cayman Islands have a surprisingly rich and diverse bird population for such small islands. Because they are located relatively far from the other Caribbean islands, at least from a bird’s point of view, they are an important stopping point for spring and fall migrations. The islands also have an interesting mix of endemic, resident and breeding species, drawing from North, Central and South American bird life. Look for the White-tailed Tropicbird off Pedro Bluff. Scan Seven Mile Beach for Brown Pelican, Magnificent Frigatebird, and Royal Tern. Don’t miss the Ruddy Turnstones next to the Burger King on the waterfront in George Town. And encounter the ubiquitous White-winged Dove, Loggerhead Kingbird, Palm Warbler (October to April), Bananaquit, Greater Antillean Grackle, and Smooth-billed Ani everywhere. Barkers is a large undeveloped area in West Bay through which the government has built mosquito control dikes. 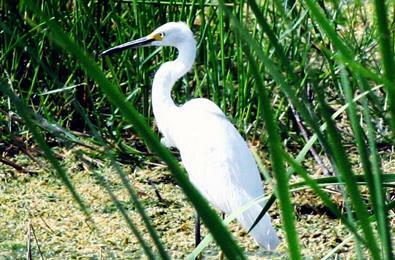 With ample bush and canals it is a haven for water loving birds. Look for: Belted Kingfisher, Black-necked Stilt, Magnificent Frigatebird, Blue-winged Teal, egrets and herons, Least Bittern, Glossy Ibis, Antillean Nighthawk, Grand Cayman Parrot, Loggerhead Kingbird, Merlin, Peregrine Falcon, Turkey Vulture, West Indian Woodpecker, Northern Parula, Northern Waterthrush, Palm Warbler, Yellow Warbler, Smooth-billed Ani, swallows, West Indian Ground Dove, White-winged Dove, and White-crowned Pigeon. The older neighbourhoods of George Town and South Sound have some of the island’s only remaining old growth woodlands. Gardens and yards in these neighbourhoods can be dripping with warblers, vireos, tanagers, sparrows, flycatchers and thrushes during migration. The West Indian Whistling Duck can also be spotted at local ponds in this area. Look for: West Indian Ground Dove, Grey Kingbird, Blue-headed Grosbeak, Greater Antillean Grackle, Swainson’s Thrush, Yellow-throated Vireo, Caribbean Elaenia, Northern Parula, Palm Warbler, Black and White Warbler, and Grand Cayman Parrot. 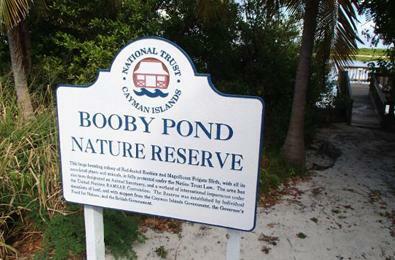 This small pond in Savannah is surrounded by trees and shrubs and offers a micro glimpse of Cayman diversity. 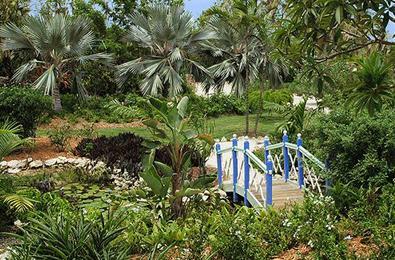 A boardwalk leads from the car park to the edge of the pond where you can sit and have a picnic lunch while you observe the goings on of birds, lizards, iguanas and the native freshwater turtle called the Hickatee. Information boards help you identify the most common species. Look for: egrets and herons, gallinules, kingbirds, pigeons and doves, swallows, warblers and woodpeckers, as well as the Belted Kingfisher, Pied-billed Grebe, Least bittern, Caribbean Elaenia, Northern Parula, Northern Waterthrush, Greater Antillean Grackle, Palm Warbler, Yellow Warbler, and Bananaquit. The fields and wood margins at the Agricultural Grounds are a local favourite during migration for the variety of passerines sighted here. September and October are especially rewarding for confusing fall warblers. Look for: Stripe-Headed Tanager, Cuban Bullfinch, Northern Harrier, Blue Grosbeak, Yellow-faced Grassquit and a host of warblers including Black-throated Blue, Tennessee, Black-throated Green, Blackpoll and Chestnut-sided. This large lake near Bodden Town is shallow, offering plenty of shoreline for migrating water birds. The fringing scrub along the roadside hosts various woodland species. 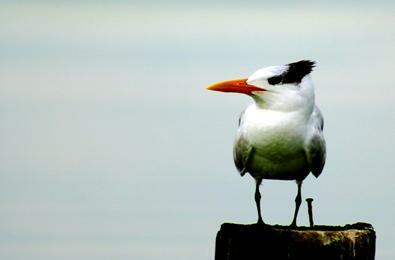 But the best viewing is of shore birds. Look for: sandpipers, plovers, yellowlegs, dowitchers, and peeps, including the Black-bellied Plover, Semi-palmated Plover, and Western Sandpiper. Naturally, a botanic park would be a favourite hang-out for birds. 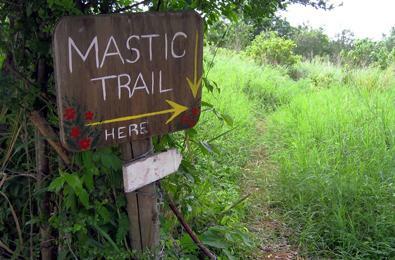 The easy 1-mile nature trail permits sightings of cuckoo, flycatchers, and other dry woodland species. 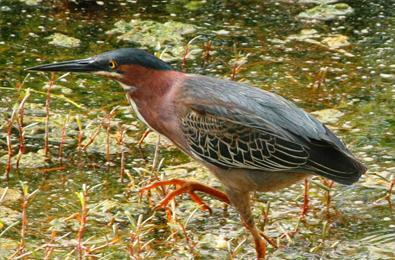 The small lake is home to gallinules, herons, and egrets. And the extensive grounds hold Cuban Bullfinch, Greater Antillean Grackles, Smooth-billed Anis, Bananquits, Yellow-faced Grassquits, Caribbean Elaenia, Grand Cayman Parrot, warblers and raptors. 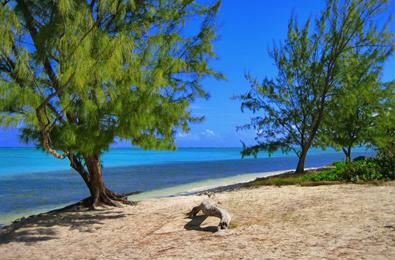 Perhaps the purest bird-watching in Cayman. 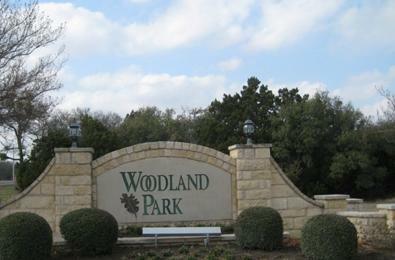 The trail traverses dry and wet lands, open and forested growth, wood margins and canopies. Look for: the Grand Cayman Parrot, La Sagra’s Flycatcher, Caribbean Elaenia, West Indian Woodpecker, warblers, vireos, Northern Harrier, Zenaida Dove, White-crowned Pigeon, Vitelline Warbler, Yellow Warbler, and Palm Warbler. Another large pond by the roadside, this one in East End. Good for shore birds and ducks as well as woodland species in the fringing scrub. Look for Double–crested Cormorant, Blue-winged Teal, Shoveler, Black-necked Stilt, Black-throated Blue Warbler, Caribbean Elaenia, Bananaquit, West Indian Woodpecker, herons and egrets. This 280-acre reserve lies atop the bluff on the east end of the Brac and preserves the old growth forest required for the survival of this beautiful bird. 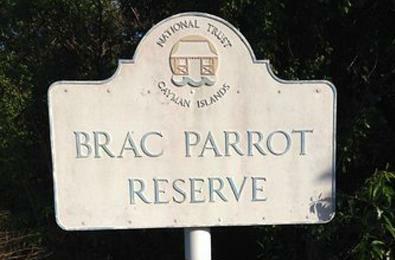 The Cayman Brac parrot, a subspecies of the Cuban Parrot, is native only to this small island. Cayman’s Red-legged Thrush, White-crowned Pigeon, and Black-whiskered Vireo are also resident here.